This was where Dali breathed life for the first time in 1904 – and for the last in 1989. It was here that he first studied art and first exhibited professionally – in the municipal theatre in 1919. It was to this very theatre he returned in 1961 when he sought to create his own surreal theatre and museum space. Dali’s Theatre-Museum was opened to the public in 1974. Dali’s eccentric style exudes from every surface of this building. It feels like the space is performing rather than just displaying art. We love the way he designed this experience with his audience in mind. His drawings, paintings, frescos and furniture are all actors on a stage – around which we move. It is a very personal and interactive experience where you feel the artist is still present. Dali even included his car – with surreal tear-like additions – in the space. Also within the museum since 1999 is the collection of jewels with accompanying drawings and specifications by the artist. 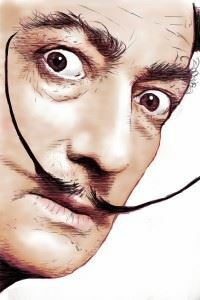 Dali spent his final days in the Torre Galatea section of the museum and was buried here in the crypt. The town of Figueres is located between Barcelona and the French border. 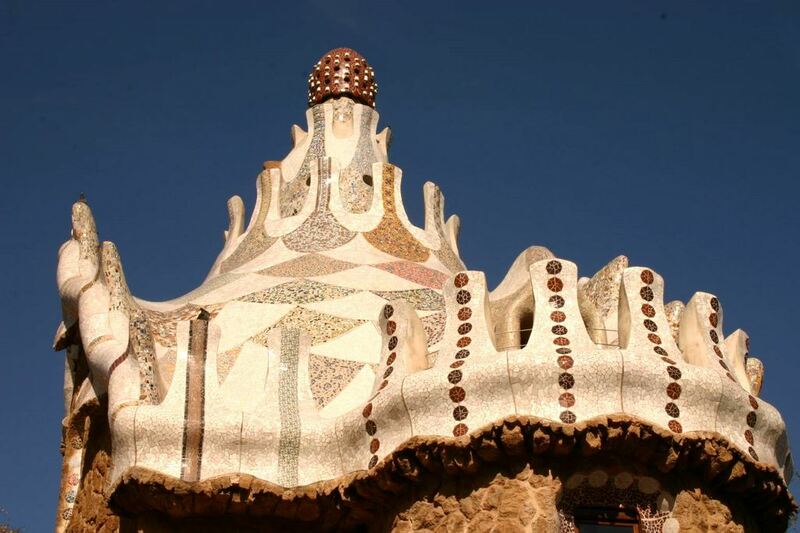 It is accessible by rail from Barcelona (just 53 mins) and by overnight train from Paris. 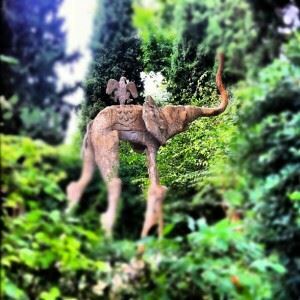 When walking about the town – don’t miss The Face of Dali at the end of the Rambla– a tribute by the city to its most famous resident in 1961. 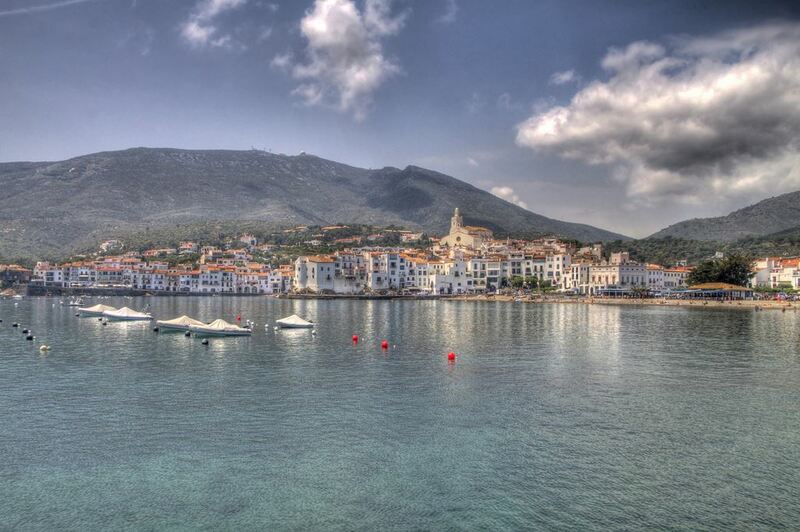 As a child, Dali spent his summers with his family at Cadaques – a picturesque whitewashed fishing village 35km east of Figueres. Dali often painted at this house and his parents built him a studio there and even organised an exhibition of his work after his first year of art school – in the house. When Dali moved to Madrid and Paris he often invited friends such as Fernando Federico Lorca, Luis Buñuel and Reny Magritte to holiday with him in Cadaques. It was the place he was first photographed upon his return in 1948 to Spain following the Spanish Civil War. 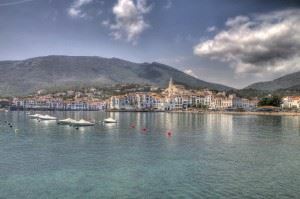 Today, Cadaques is a full of restaurants, craft shops and galleries and is a very pleasant place to spend a day or two. 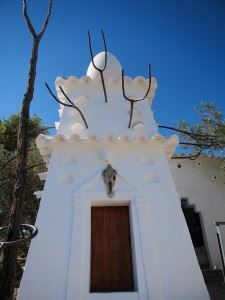 Just one kilometre away from the bustling port is Dali’s House at Portlligat. Its bays and inlets offer a beautiful backdrop for one of the most special residences in Spain. The house – open to the public – is full of personality, charm and wit. 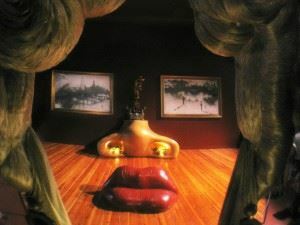 We love the studio where Dali worked, the large egg on a rooftop, his wife, manager and muse Gala’s round room and of course, the pink lips and other sculptures in the garden. Cadaques and Portlligat are best reached by car from Figueres. And if you have the time – you can explore nearby Cap de Creus. The cape’s unusual rock formations feature in a number of Dali’s works such as The Persistence of Memory. The cape was declared a national park in 1998. Forty kilometres south of Figueres is Pubol-la-Pera. Having scouted the area by plane, Dali bought the medieval castle in 1969 as a gift for his wife – Gala. It is said that he needed to request permission from her in writing to visit the castle. In 1982, Gala died at their home in Portlligat but was buried in Pubol. 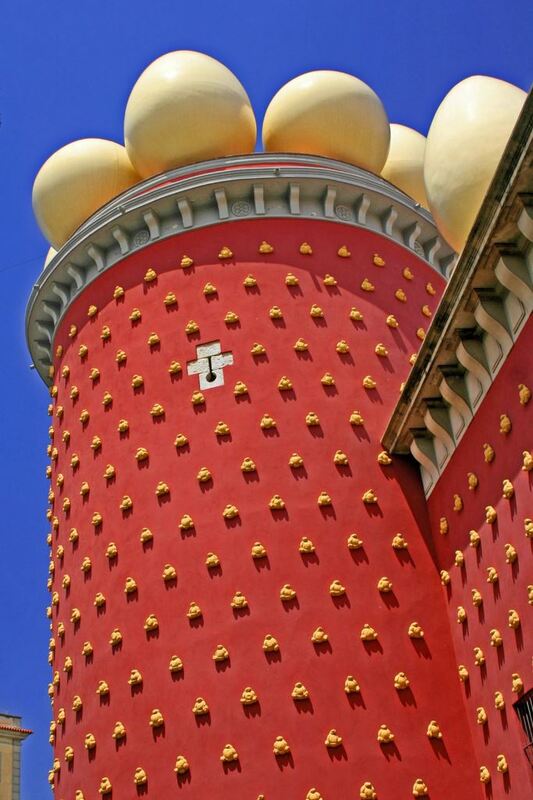 Dali moved in and lived in the castle, until the fire in 1984, when he moved back to Figueres. Many of Dali’s works of art and his Cadillac are on show here in Pubol Castle today. Enjoy the building, its gardens and surrounding villages. 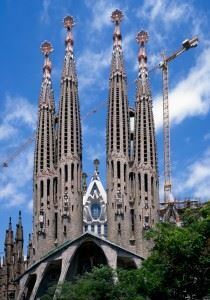 As a child, Dali was a frequent visitor to the Catalonia capital and was struck by the modernism of UNESCO-listed architect Gaudi’s work. 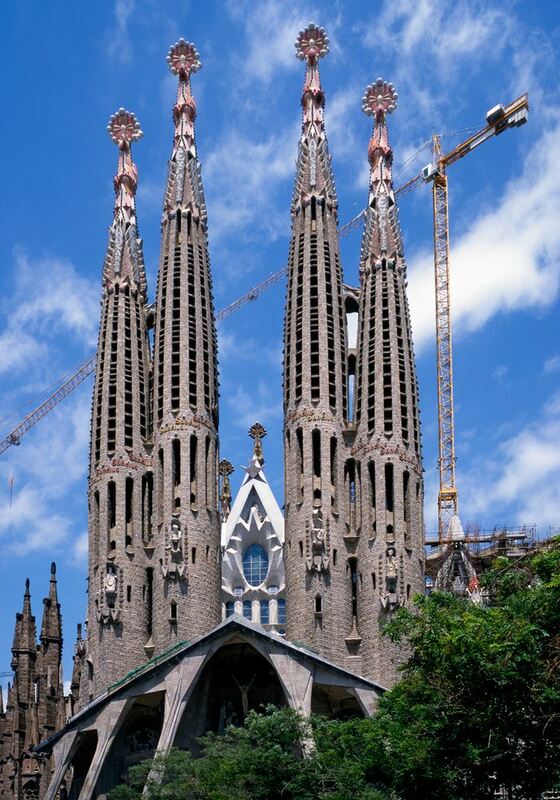 In an interview with Revista magazine in 1953, Dali spoke about Park Güell and the need to fund-raise for Gaudi’s as yet unfinished La Sagrada Familia (it’s still unfinished!). In 1956, Dali gave a talk at the Park in honour of the architect. He also loved Gaudi’s La Pedrera building and cites it in French publication in 1930 and in 1952 was photographed there for a Spanish publication. Elsewhere in the city there are many galleries, museums and theatres where Dali exhibited and spoke that are still open to the public – for example the Salas Pares where he frequently exhibited at the beginning of his career; the Teatro Goya where he designed set for a play in 1927 – for his friend Lorca. And the Ateneu – where he spoke at a conference in 1950. Unfortunately many of the restaurants and bars Dali frequented have closed or deteriorated significantly. For a sense of what was popular at the time – you could have a drink at Els Quatre Gats that dates from 1897 which Dali liked – and interestingly where Picasso held his first exhibition and also designed the menu cover! Pro-tip: If you’re keen to see Salvador Dali’s Catalonia but also want to explore more of Catalonia, read What to See & Do in Barcelona in 48 hours, Travelling the Costa Brava and Exploring Gaudi’s Barcelona. Posted in Barcelona, Catalonia, Dalí, Getting Around, Insider Spain Guides, Museums & Galleries, National Parks, Popular Posts and tagged Antoni Gaudí, art, Barcelona, Cadaques, Cadillac, Cap de Creus, Catalonia, Dalí Museum Theatre, exhibitions, Fernando Federico Lorca, Figueres, Gala, Gaudi, La Sagrada Familia, Les Quatre Gats, Luis Buñuel, Picasso, Portlligat, Pubol, Pubol-la-Pera, Reny Magritte, Salas Pares, Salvador Dali, Teatro Goya, The Face of Dalí, The Persistence of Memory, Torre Galatea.